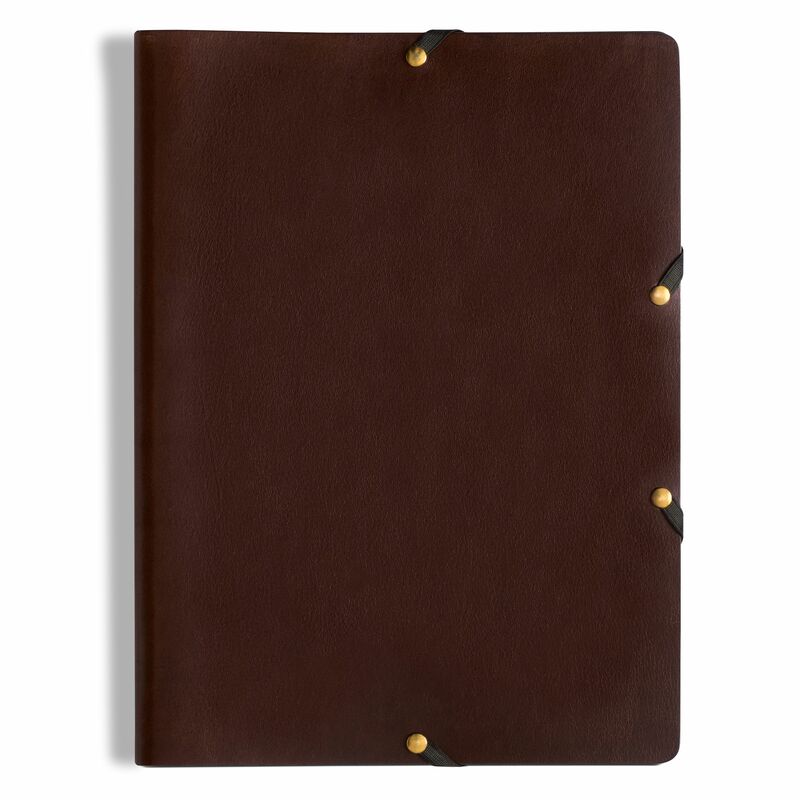 This document folder may be based on run-of-the-mill cardboard or plastic models available in office supply stores everywhere, but it couldn’t be more special. 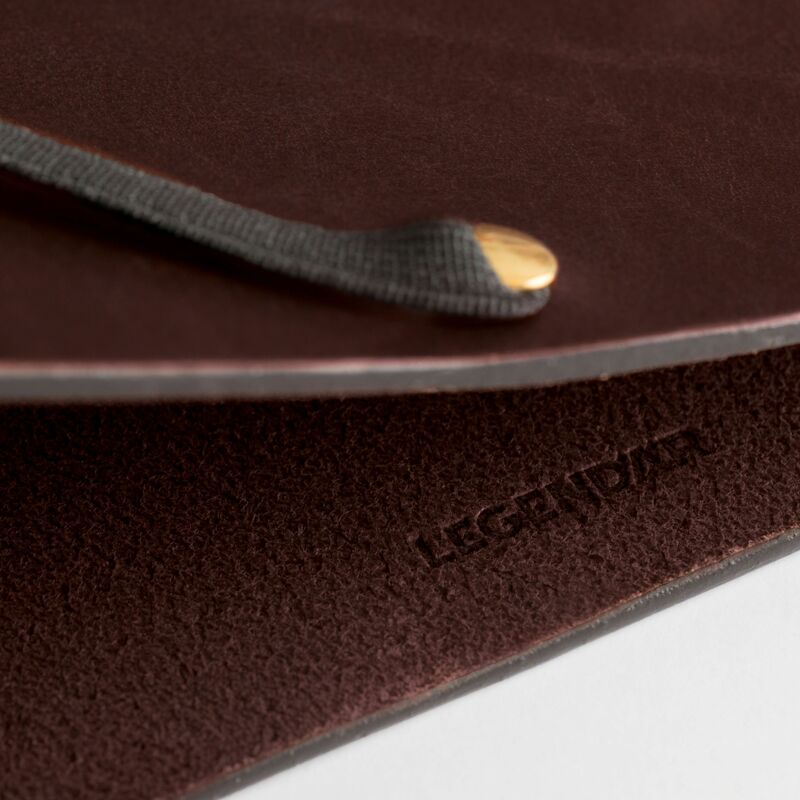 Produced from a single skin of finest saddle leather, this premium hide remains unsplit with a full thickness of approximately 2.5 mm. The leather is vegetable-tanned in artisan tradition and then dyed. To maintain the body and flexibility, it is rubbed with leather fat and otherwise untreated. 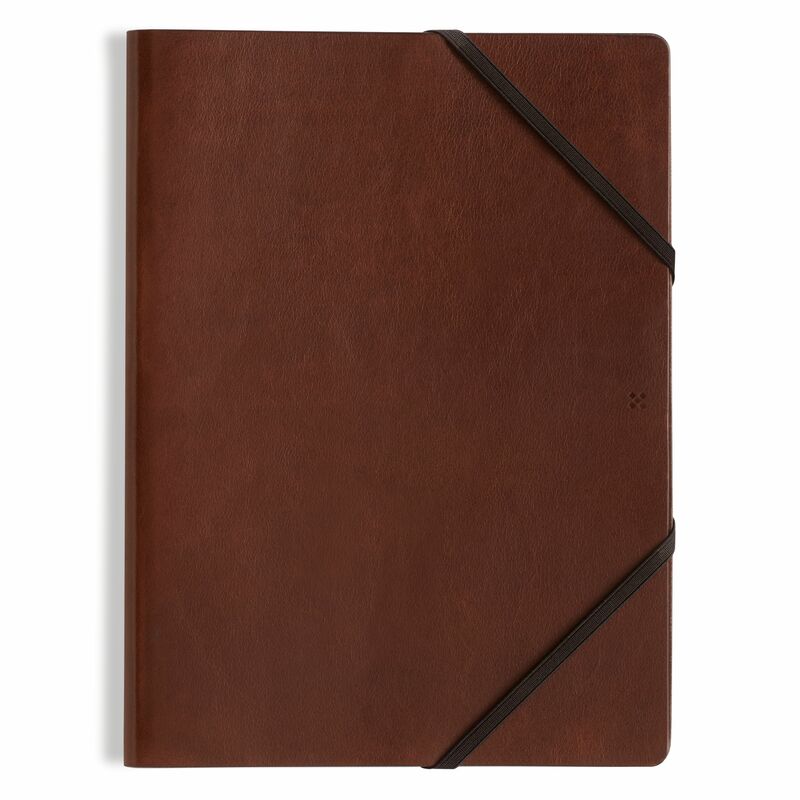 This also allows HYDE to develop its rich patina, enhancing its beauty with age. 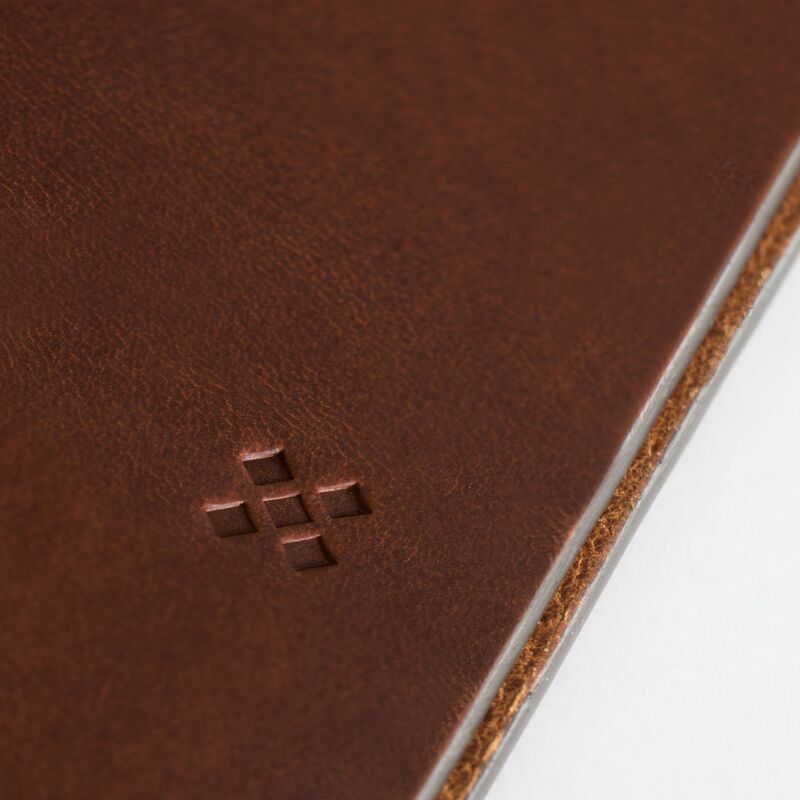 The outside front cover is debossed with our LGNDR rhombi-cross logo. 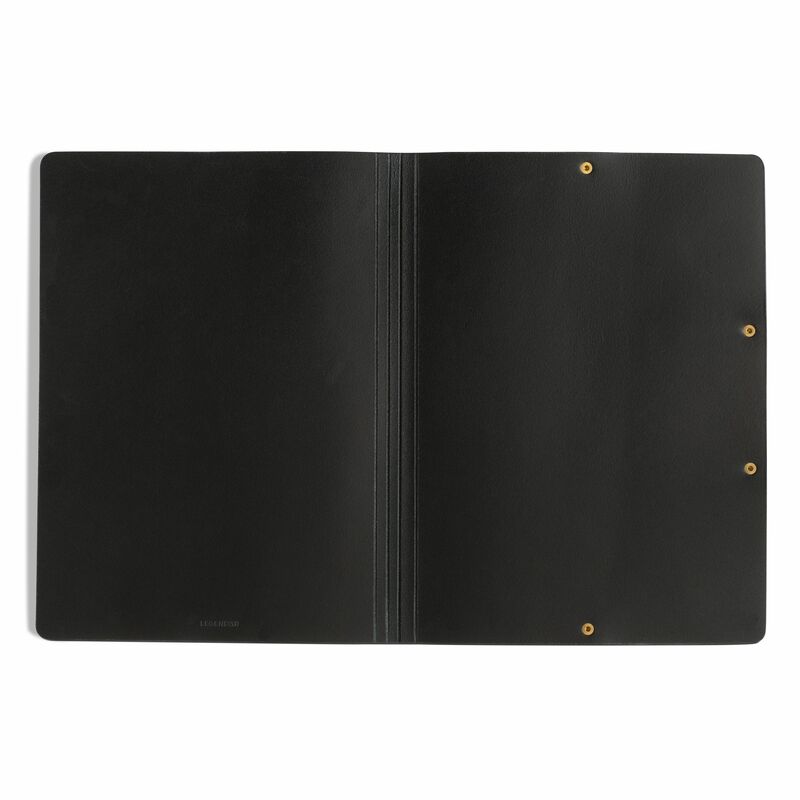 To secure your documents for safe and stately keeping, HYDE features two black elasticized textile bands that are held in place with solid brass rivets.